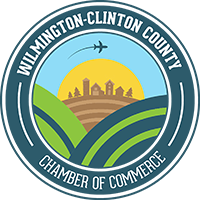 The Wilmington-Clinton County Chamber of Commerce invites you to an open house celebrating the 40th Anniversary of Accurate Heating & Cooling on Friday, August 25th, from 11AM – 4PM. Accurate is located at 363 East Main Street, Wilmington. Please join Accurate as we celebrate 40 years serving our local community! We want to thank our customers and friends who have helped us achieve this exciting milestone. Please join us for home-cooked food, a raffle for a chance to win a Nest Thermostat or a high efficiency media filter and grand prizes including a Generac Power Washer, 50-inch Smart TV, and a Hocking Hills cabin weekend. The raffle proceeds will benefit Hope House, a safe place for women and children. There will be giveaways of shirts, travel mugs, and sports umbrellas as well! This is a great opportunity to interact with Accurate employees and manufacturer reps from Bryant, Carrier, WaterFurnace, Generac, and more. Learn more about Accurate Heating & Cooling by contacting 937-382-1436 or visiting http://accuratehvac.com.